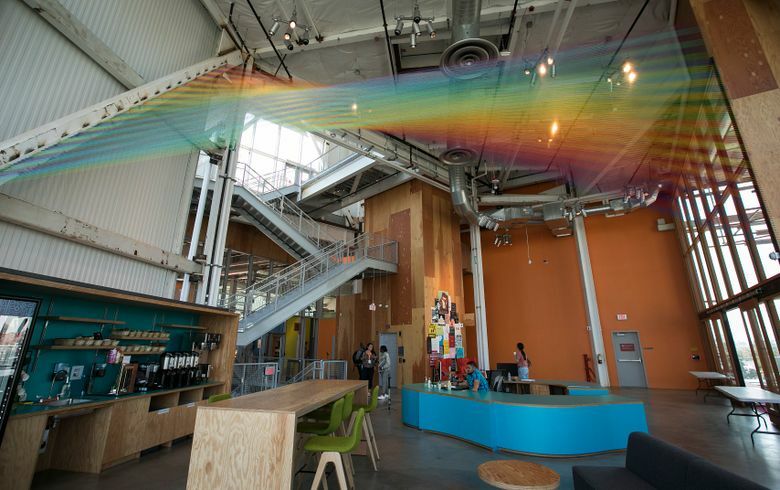 World-famous architect Frank Gehry designed the new MPK 21 offices. The building is designed to reflect the social-networking company’s culture and its stated mission of bringing communities together. 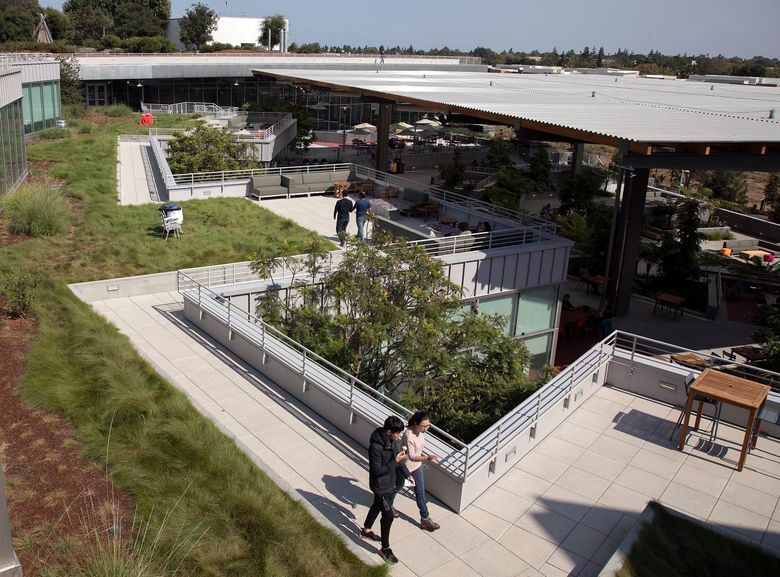 MENLO PARK, Calif. — The official name of Facebook’s newest Menlo Park building, MPK 21, may evoke computer jargon, but the gleaming new offices at its headquarters are anything but mundane — they offer a village where employees can gather, create and relax. Employees have started moving into the company’s new offices in a long, airy building, which features a “main street” meandering down the middle, along with office “neighborhoods” that have sprouted off to the side. 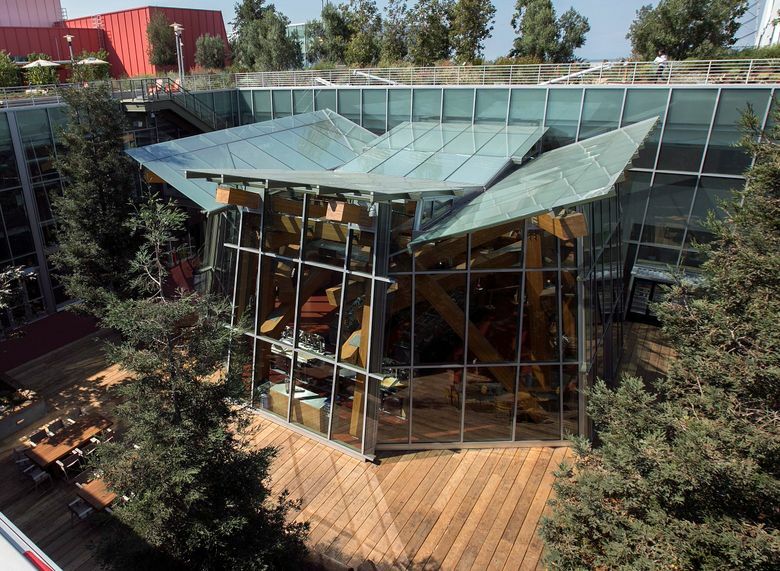 Workers can stroll on a rooftop, gather in “town squares” featuring redwood trees, or pause in a terraced area called “The Bowl” that is like a botanical garden. Frank Gehry, the world-famous architect who previously designed Facebook’s adjacent MPK 20 building, also created the new MPK 21 offices. The building is designed to reflect the social-networking company’s culture and its stated mission of bringing communities together. Facebook, like many other technology companies, is determined to create inviting work areas that can help to lure skilled recruits and keep existing employees happy. The new offices also include an events center with 2,000 seats where Facebook Chief Executive Mark Zuckerberg intends to hold weekly question-and-answer sessions, Tenanes said. The building’s landscaped open spaces and diverse work areas provided a calm contrast to the heavy highway traffic snaking past the complex on a recent weekday afternoon. The building can accommodate 2,900 employees. It totals 525,000 square feet and occupies 24 acres. It stands 79 feet tall at its highest point and stretches 1,376 feet — more than four football fields long. Facebook and Gehry see MPK 21 as building on the knowledge gained from designing the nearby MPK 20, which features a rooftop of park lands, gardens and trees. The design allows employees to flow through the structure, gathering in large and small groups in the open offices. The building also has cafes, restaurants and at least one pop-up store. Each office neighborhood in MPK 21 was designed to accommodate about 150 workstations. The building’s design is intended to foster the internal community-building that mirrors the social network’s goal of helping to connect communities worldwide. One of the town squares, dotted with mature redwood trees and redwood logs, appeared to be a popular area for meetings and time alone. “It gives you a feeling like you’re in Muir Woods,” Tenanes said. Justin Van Ness, a Facebook researcher who previously worked in the adjacent MPK 20 offices, expressed his approval of the new MPK 21 offices. “The building is beautiful; the layout is great,” Van Ness said.